This is the official fundraiser to help flood victims in Sakon Nakhon. Sakon Nakhon Provincial Hall was inundated with requests for food and clean water throughout Friday (28th July). Many flood victims are unable to leave their homes due to high levels of flood waters. Troops and border patrol policeman are trying to evacuate flood victims in the worst floods to hit the area in ten years. 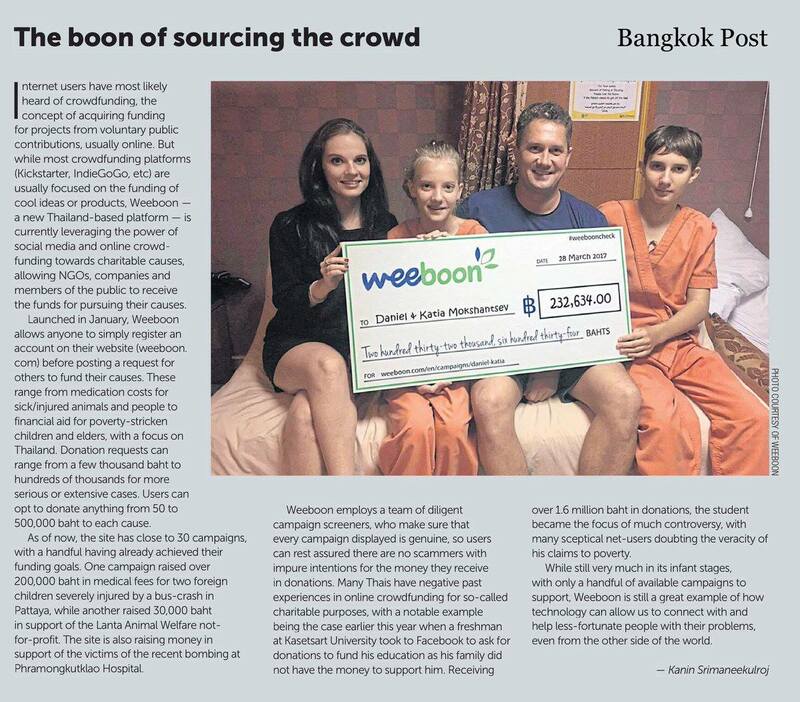 Samui Times in collaboration with Weeboon are appealing to the the expats community and people of Thailand for help to raise funds in order to purchase dry food, drinking water and other essential products for those in need in Sakon Nakhon. Target has been set to 1 baht as this fundraiser has no limit except your generosity.